REACH YOUR HEALTH GOALS WITH 100 STRIPS + GET 50 STRIPS FREE! 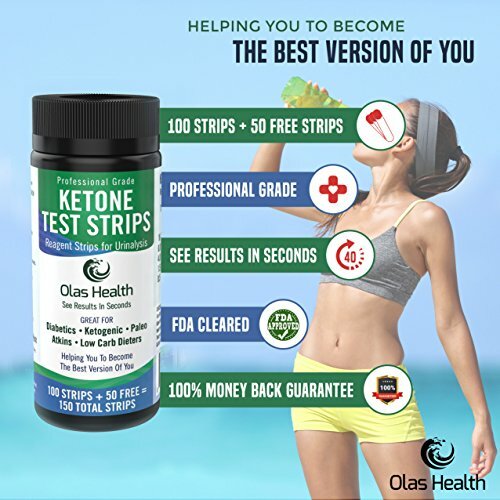 Tracking your ketone levels indicate your own body’s level of ketosis. This in turn helps to see the level of fat burning depending on the type of ketogenic diet you’re on and exercise you do. 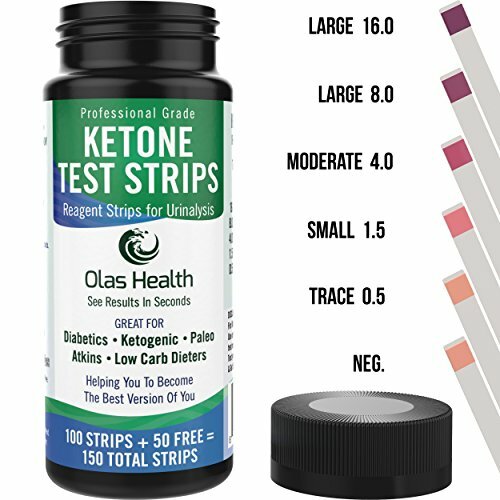 Our urinalysis ketone test strip will serve as a guide to help you reach your desired outcome. RECORD YOUR FAT BURNING LEVELS AS YOU LOSE WEIGHT. 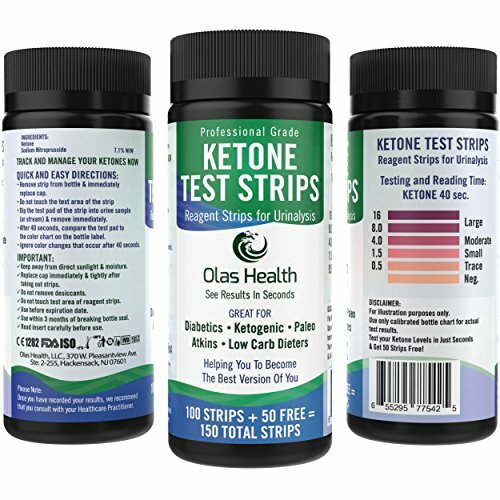 Ketones are the result of your body being in a state of ketosis. Indicating your body is burning fat for fuel rather than carbohydrates which can help you achieve your weight loss goals. Measure precise quality results in seconds. In the comfort of the your own home. Dieters on average check 1-2 times a day. MANAGE DIABETES WITH CONFIDENCE. For diabetics, ketones in the urine is a sign there is not enough insulin available to use glucose for energy. Therefore your body is using fat instead. Obtain proper results with high precision ketone level sticks and color chart. This helps you keep an eye on the presence of ketones many times per day. PROFESSIONAL GRADE PRECISE ACCURACY. 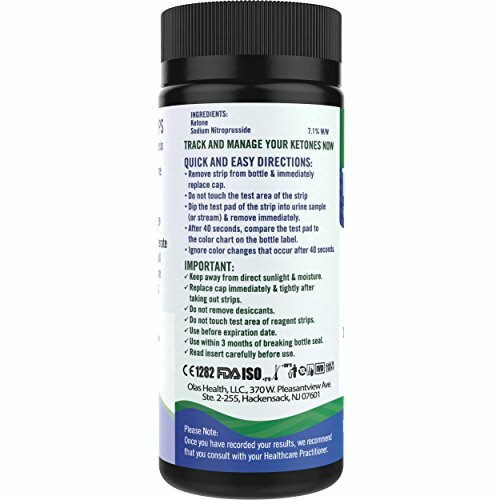 Our reagent strips for urinalysis are easy to use, just dip and read. 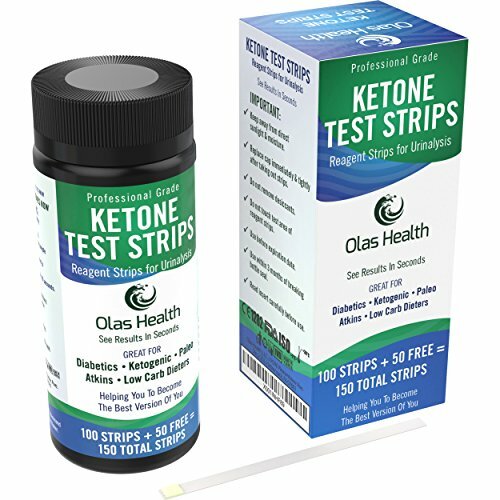 Testing sensitivity is set for your ketogenic, diabetic, and dieter benefits. Why should you do a Urine Test for Ketones (Acetoacetic Acid)? 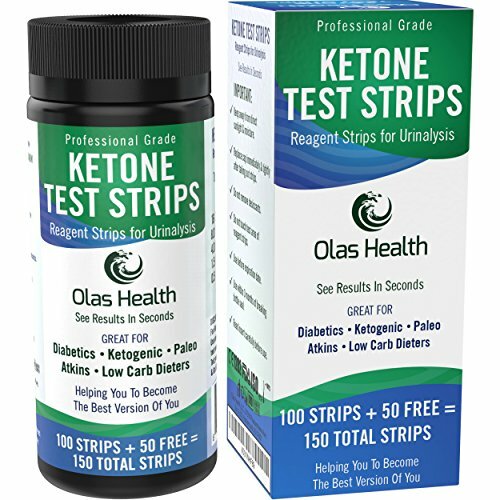 Our Ketone Test Strips Reagent Strips provide a fast, convenient way of testing your urine for the presence and concentration of acetoacetic acid (ketone). This substance when found in the urine provides information on carbohydrate and fat metabolism. 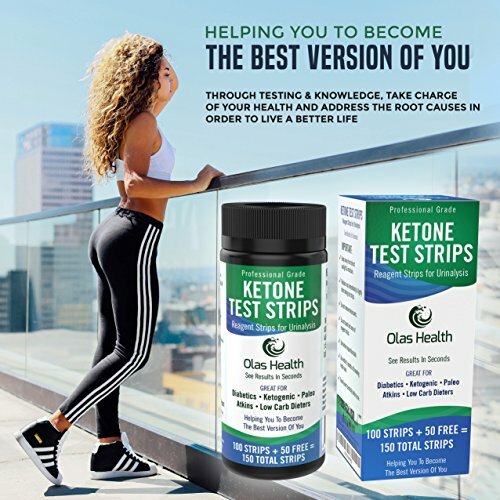 Use of Ketone Test Strips Reagent Strips can alert you and your doctor or diabetes educator to changes in your condition for which adjustments in your diet and/or medication may be needed. 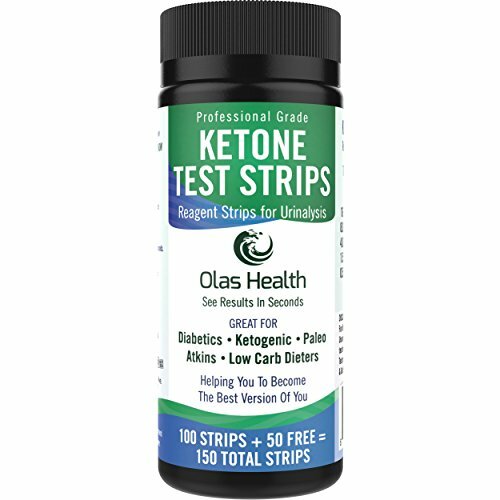 Please refer to the outside box and bottle label for the specific test parameters for Ketone Test Strips. Please read the instructions sheet provided inside the product box carefully before using. The results on the strips can be read visually. STORAGE INSTRUCTIONS: How you store these strips is exceptionally important to their freshness as they only last 90 days after opening the bottle. Once the seal on the bottle is broken the reagent on the test pad becomes very sensitive to oxidation, sunlight, hot, cold, moisture, condensation, humidity and all other extreme elements. Therefore, DO NOT STORE THE BOTTLE IN YOUR BATHROOM! 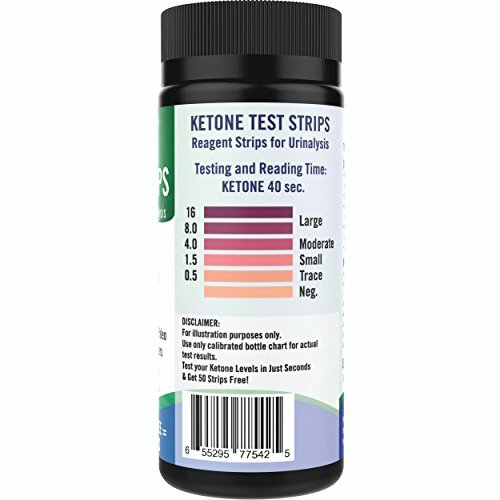 NOTE ABOUT TESTING: Begin timing and Read the test results carefully at exactly 40 seconds (within 60 seconds) in a well-lit area with the test pad held near the 6-panel color chart on the Ketone Test Strips bottle label. Changes in color that appear after 2 minutes are of no Diagnostic Significance.